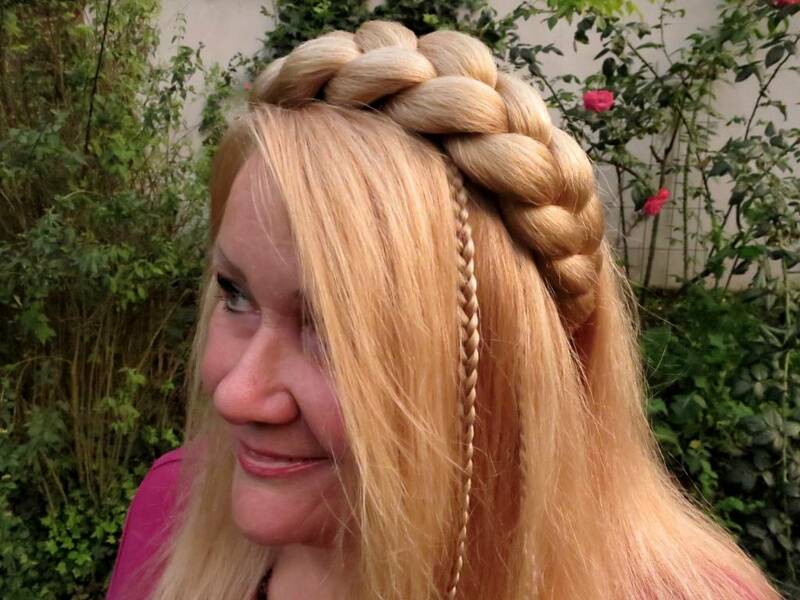 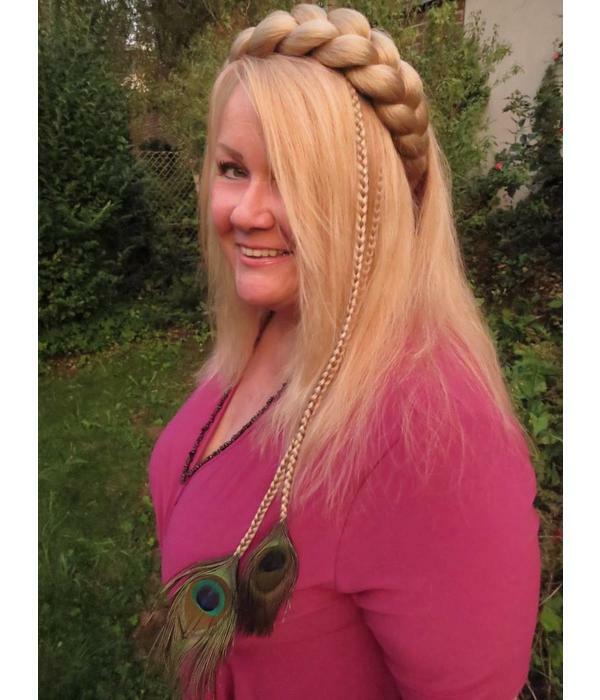 Braided statement headband Gretel, extra large supersize braid, made to order in your hair color or a contrasting one, just as you like it! 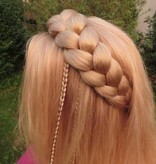 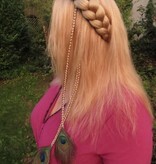 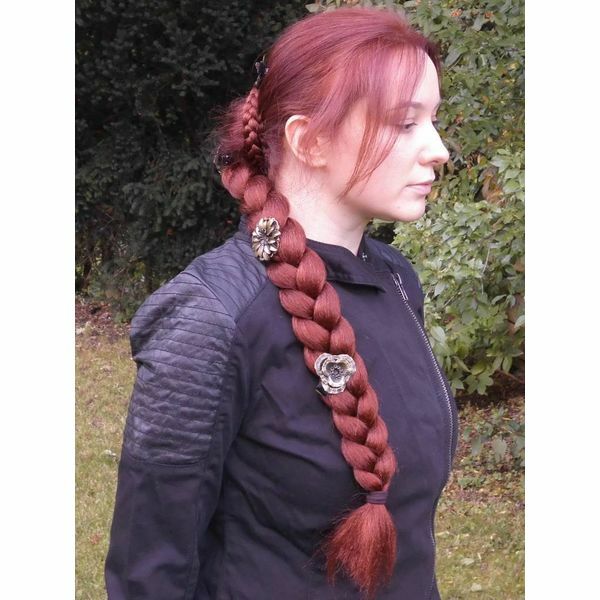 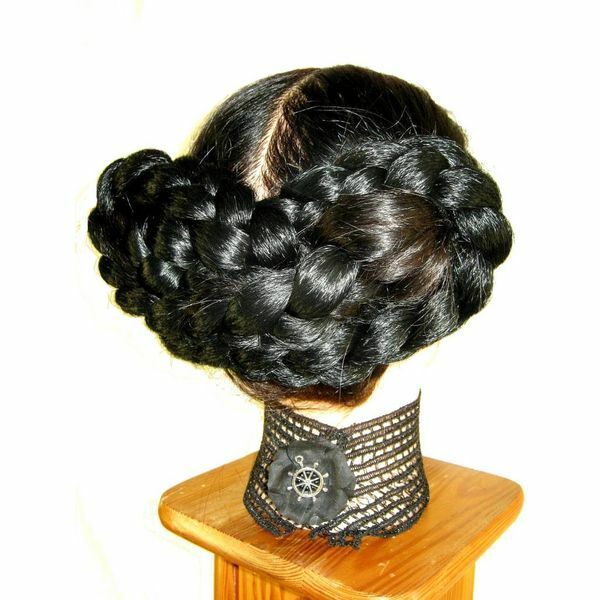 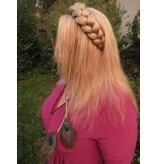 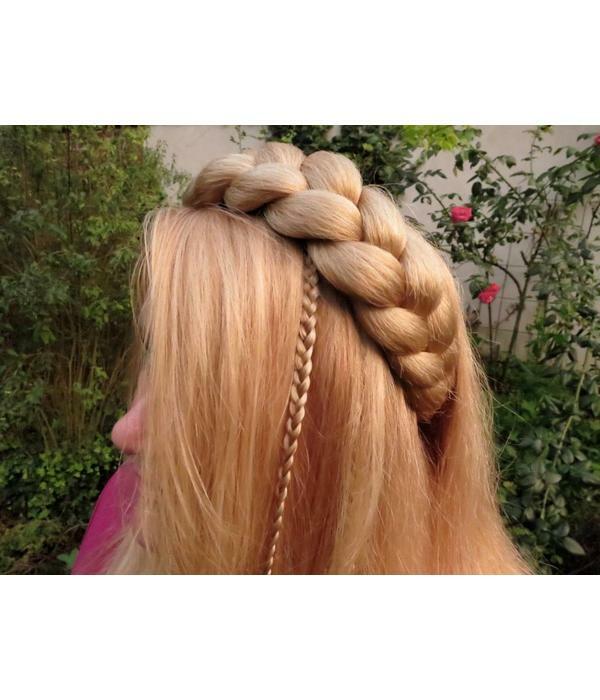 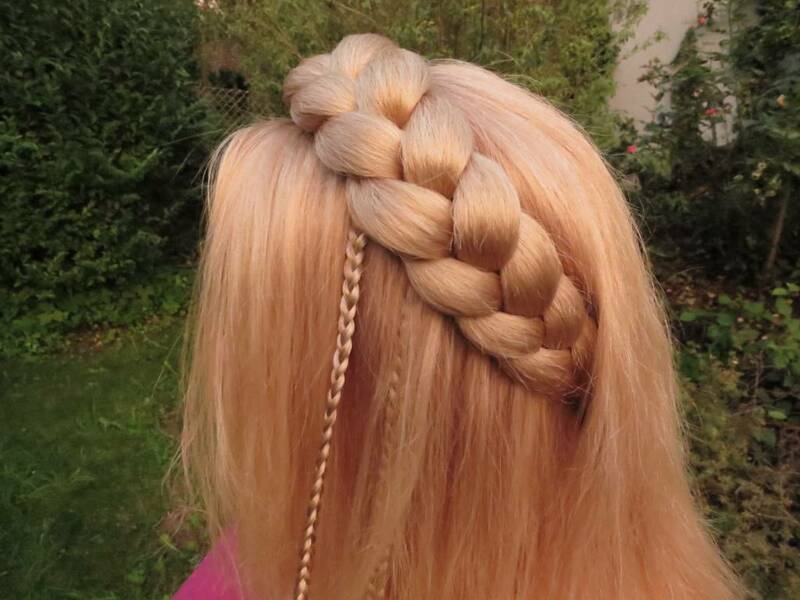 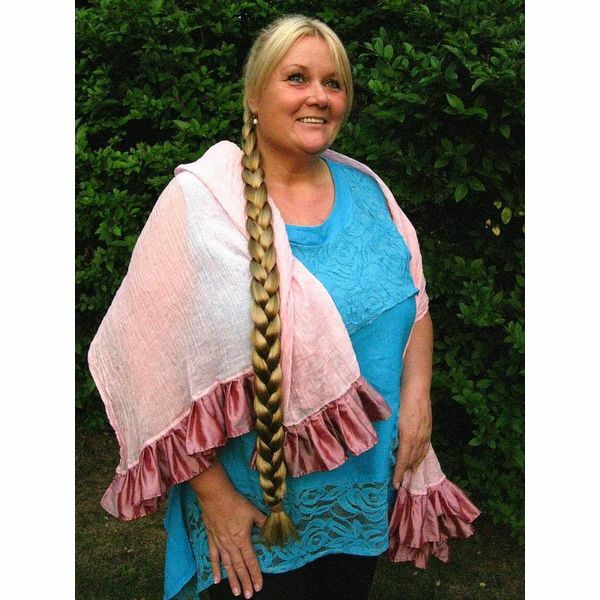 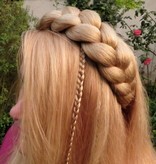 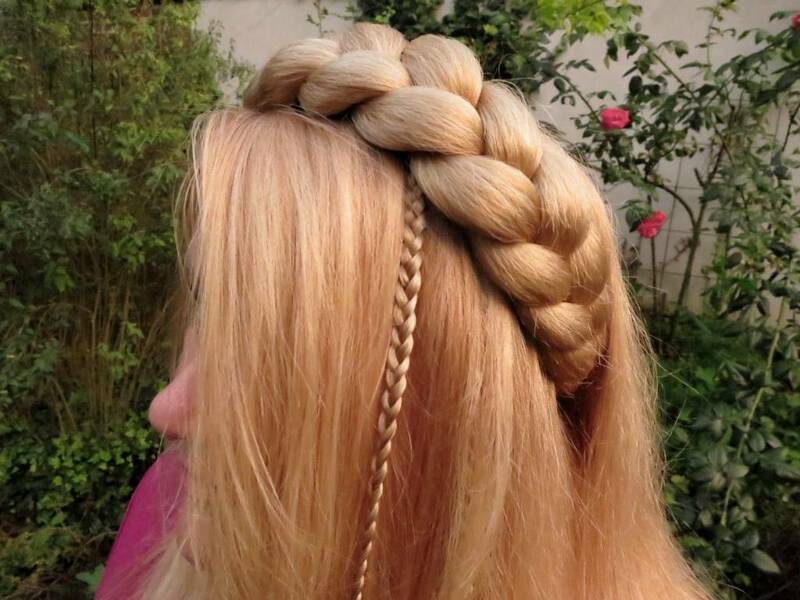 This model is about 6 cm/ 2.4 inches wide - an extra large = thick braid for big hair fashion and lush, rustic stylings. 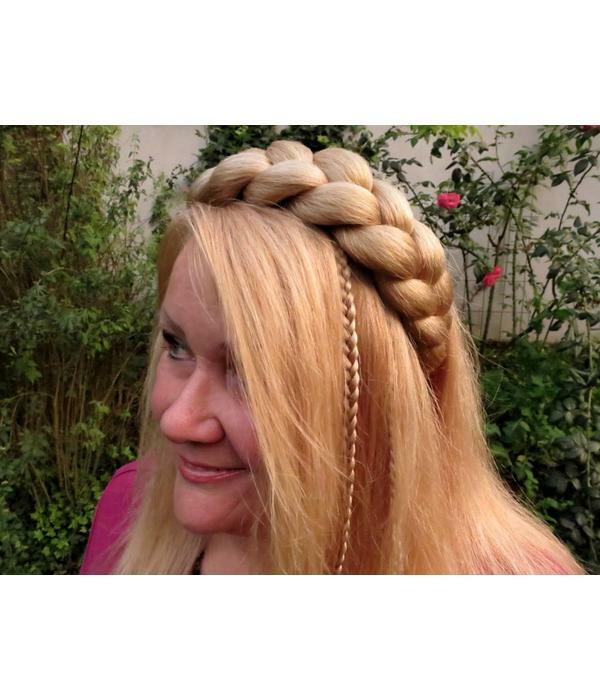 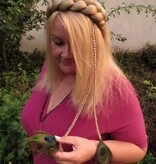 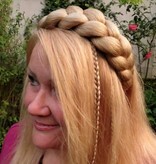 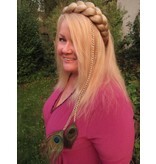 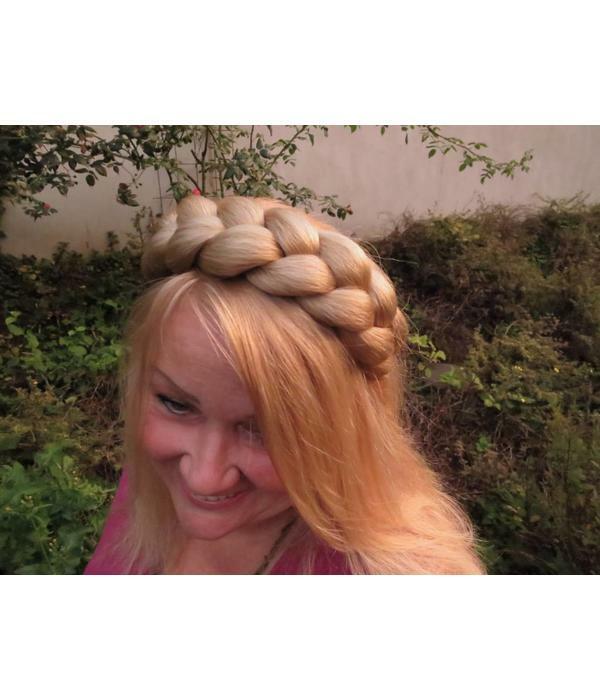 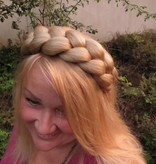 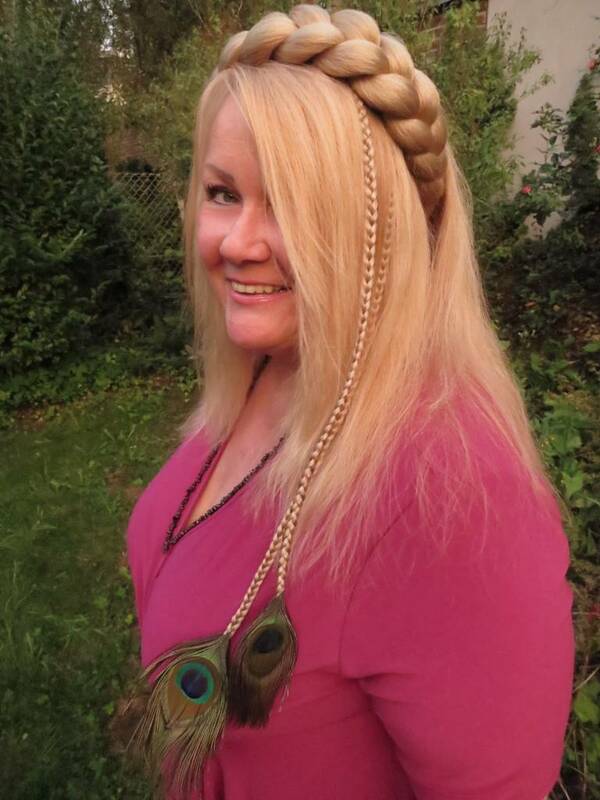 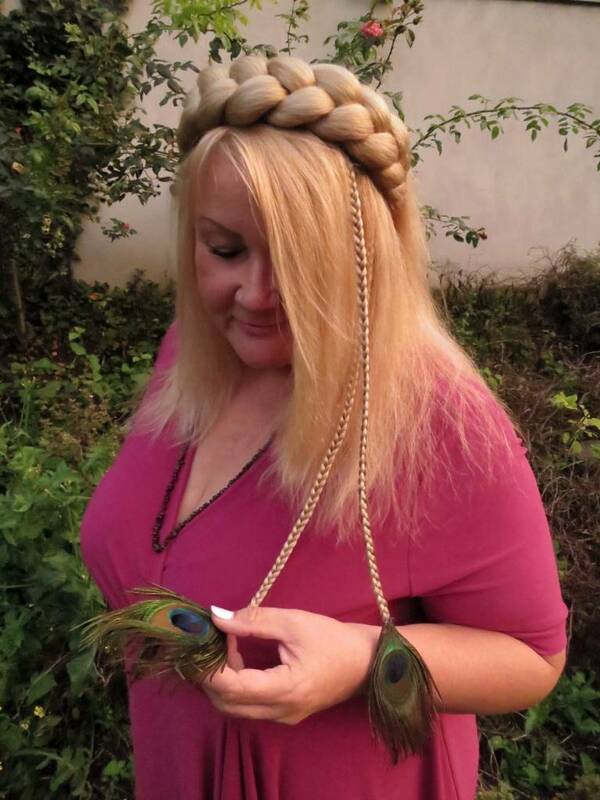 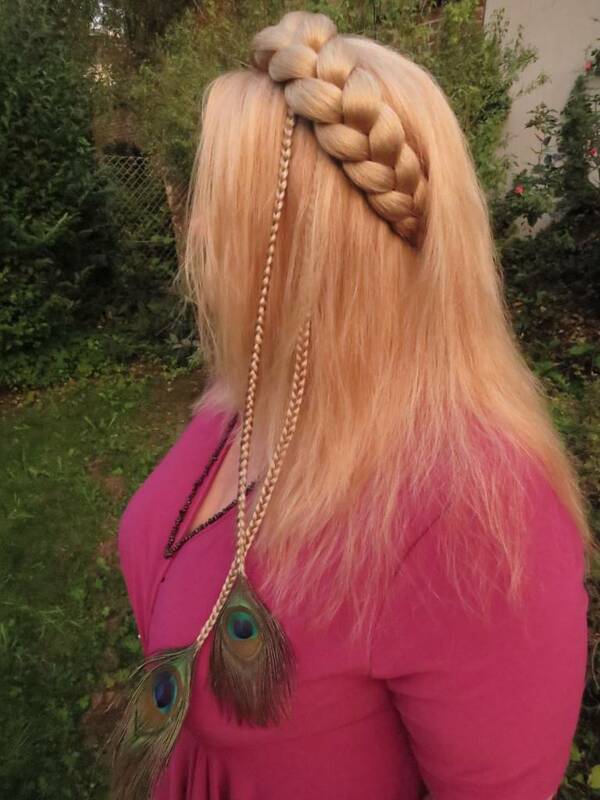 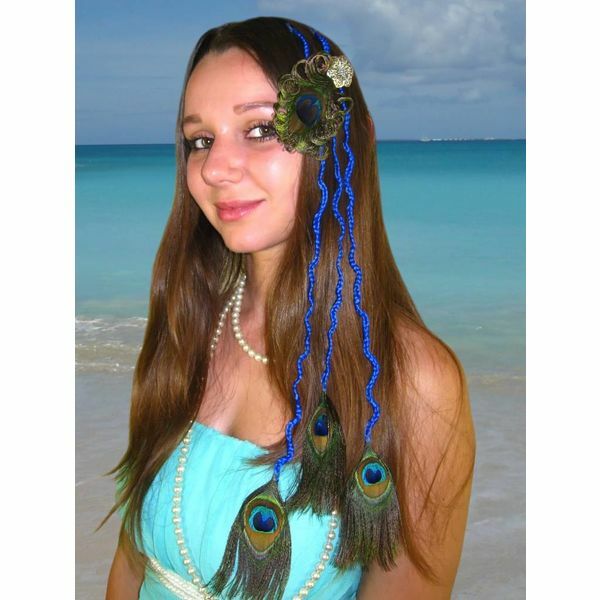 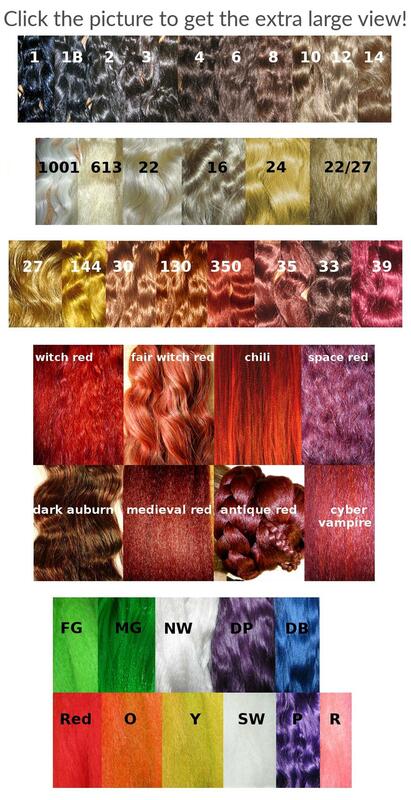 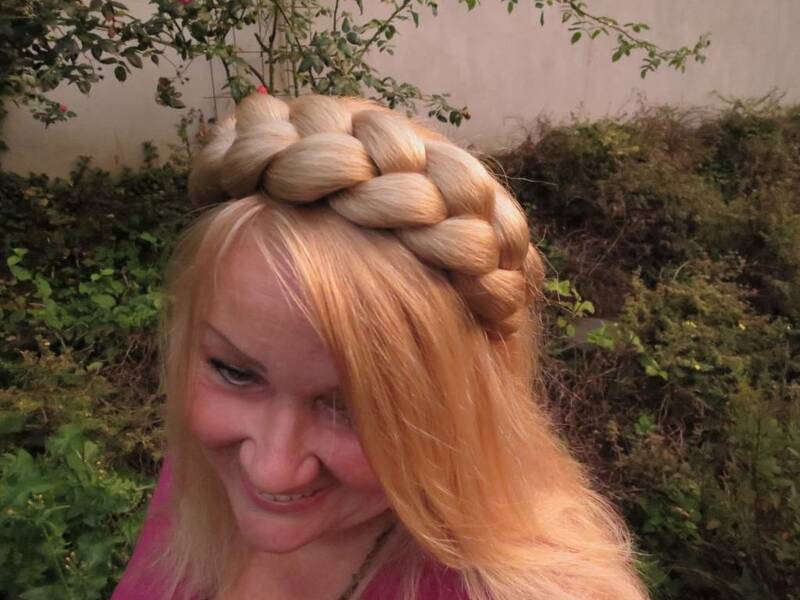 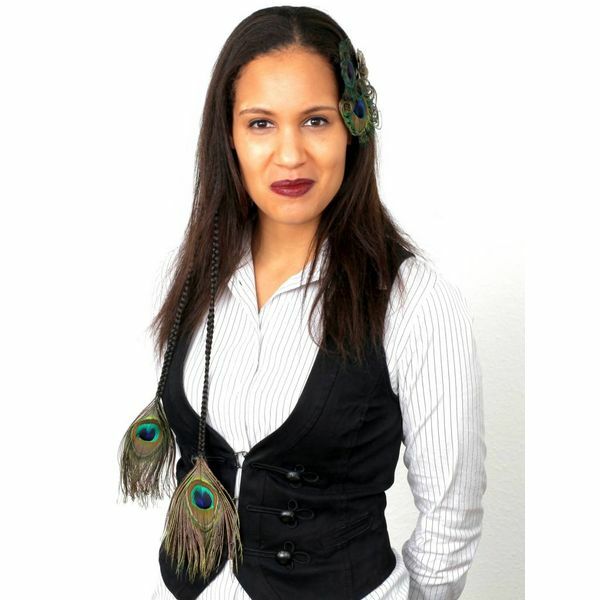 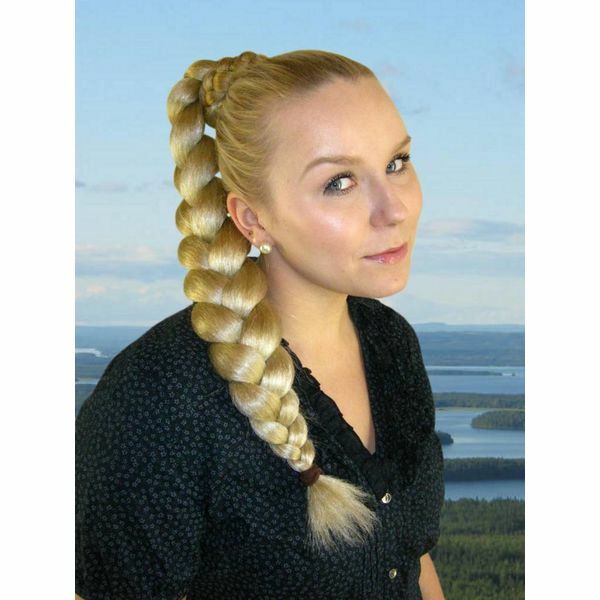 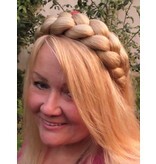 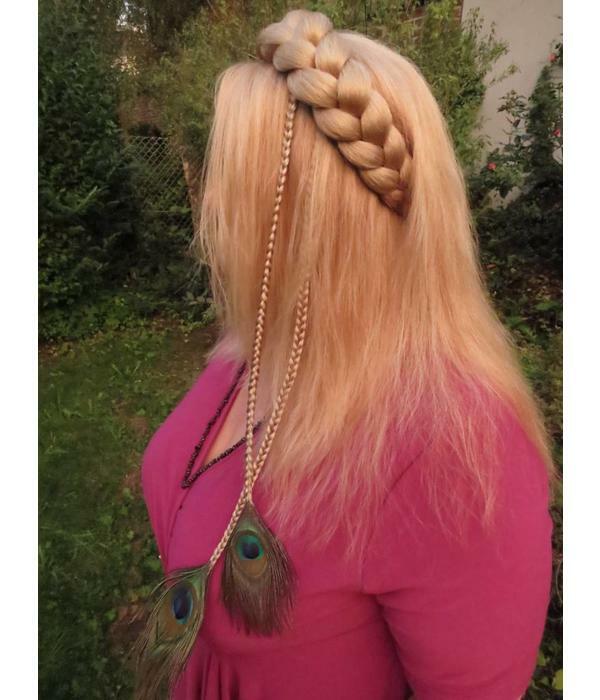 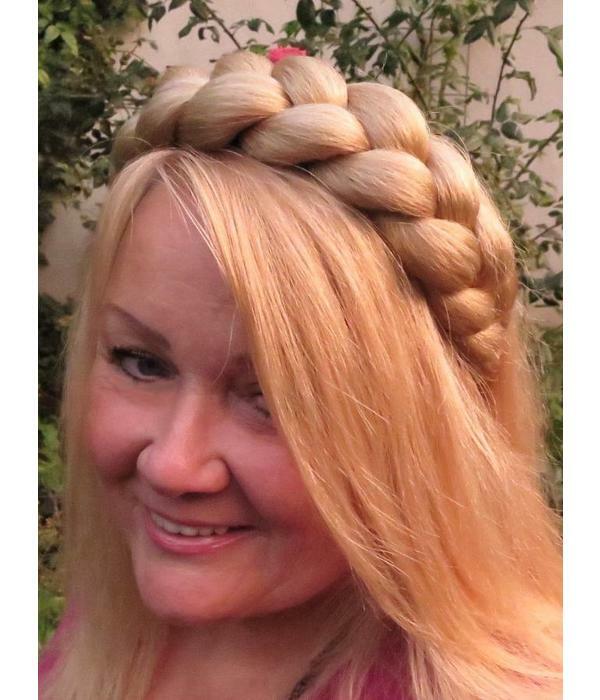 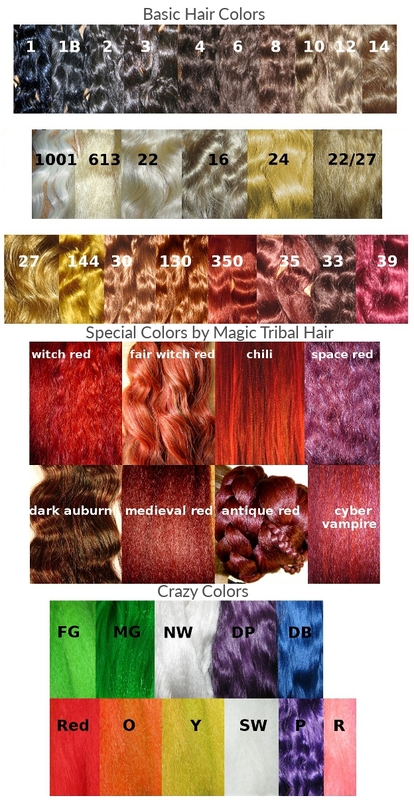 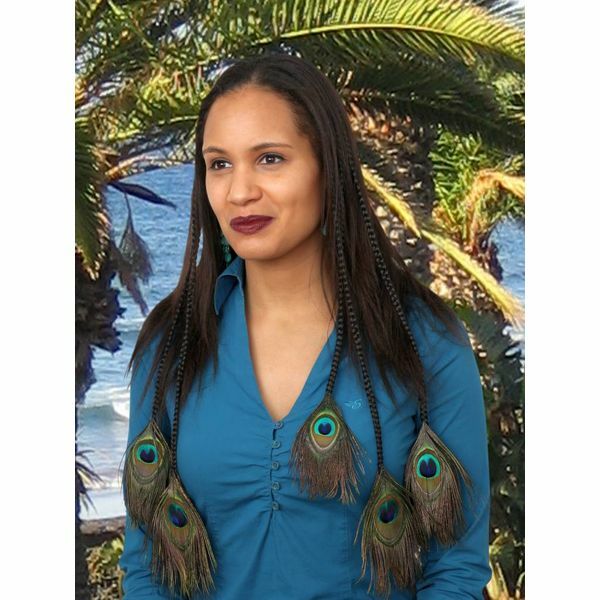 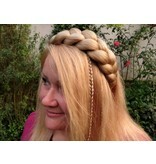 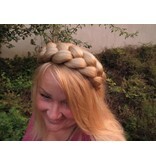 Use this gorgeous hair accessory for German Oktoberfest hair styles and as Medieval and Renaissance hair! 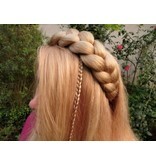 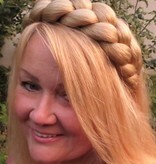 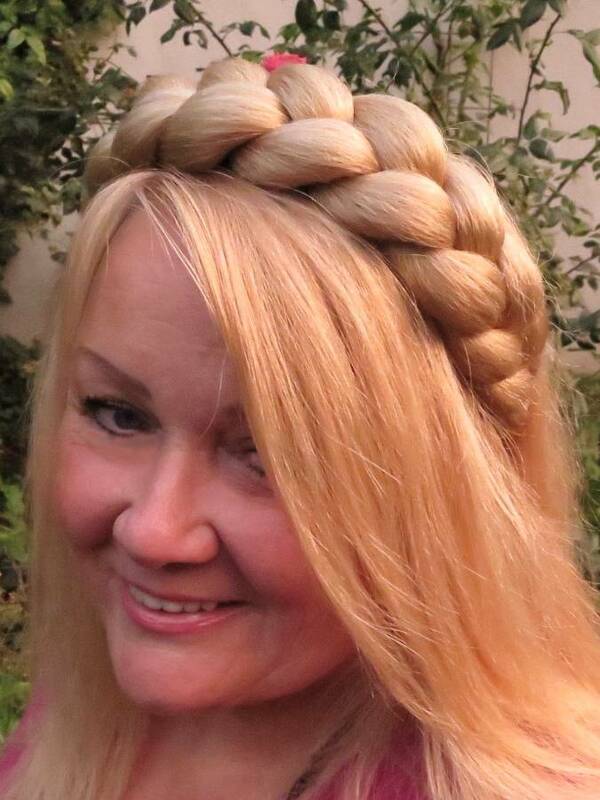 This braided headband tiara of synthetic hair has our professional slip stop like all our wider headbands. 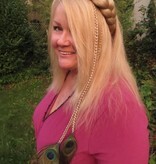 This slip stop provides high wearing comfort, because it makes the headband stay in place. 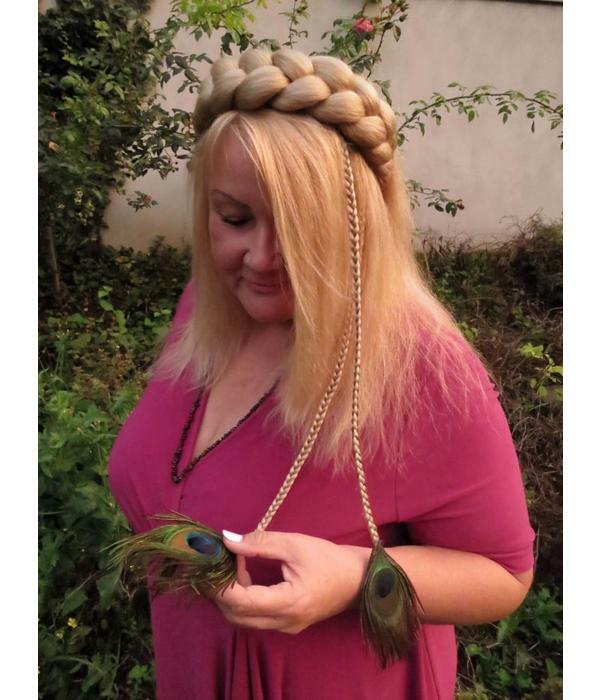 Moreover it makes your braid headband a long life item, because the friction when putting headbands on and off would pull out too much hair too quickly without such a supportive layer. 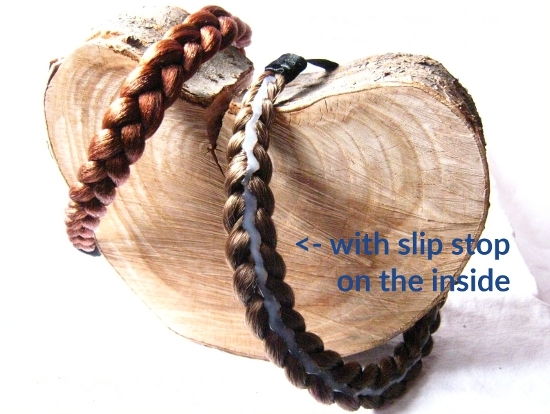 Naturally the slip stop cannot be seen when you wear the hairband as it is on the inside only! 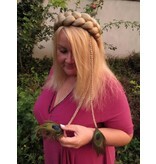 Our slip stop is similar to the one of hold-up stockings or strapless bras.